Having cycled in Kazakhstan in winter and also having cycled only the South Eastern corner probably gives a little bit of a different view. Other cyclists might have different experiences having cycled through the plains of the desert in Kazakhstan during high summer. Nevertheless we do not want to keep our impressions to ourselves. Kazakhstan is a former Soviet country and this is clearly visible every day while on the road especially because of the ex-Soviet busstops and artwork. Kazakhstan is also the country where the Soyuz launchpad is located and it is rich in oil. 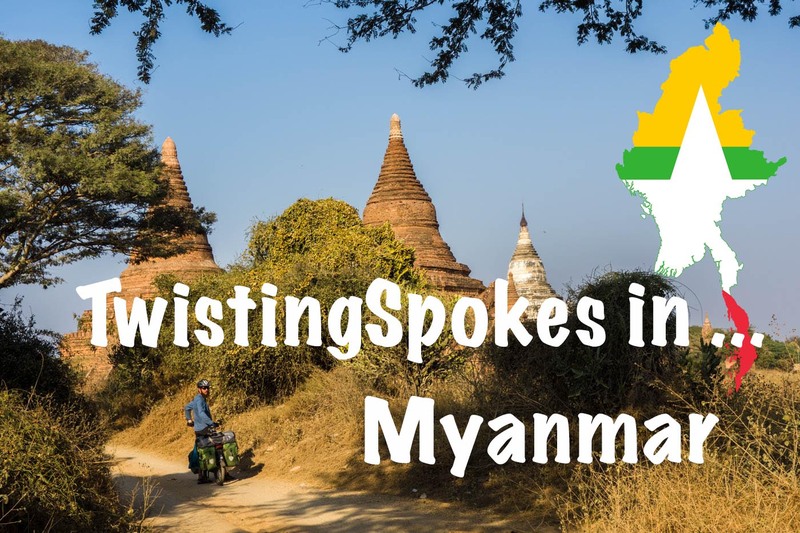 It is the world’s largest landlocked country. Bicycle Touring Kazakhstan for us meant: chilly -25 degree nights and warming up in small roadside eateries with Laghmann, a noodle dish typical for the Islamic Uyghur minority. We stayed in Almaty, the former capital of the Kazakh state during the USSR, for a week after having cycled only 50 km in the country and Susanne having a broken tooth. We were taken to the city with a comfortable large truck and a smaller truck where Martin could sit in the closed off back of the van. Almaty is a very modern city with many modern amenities and we were very fortunate to comfortably stay with a host while having the tooth fixed at the dentist (read: pulled out). There is a nice market and shopping possibilities around. 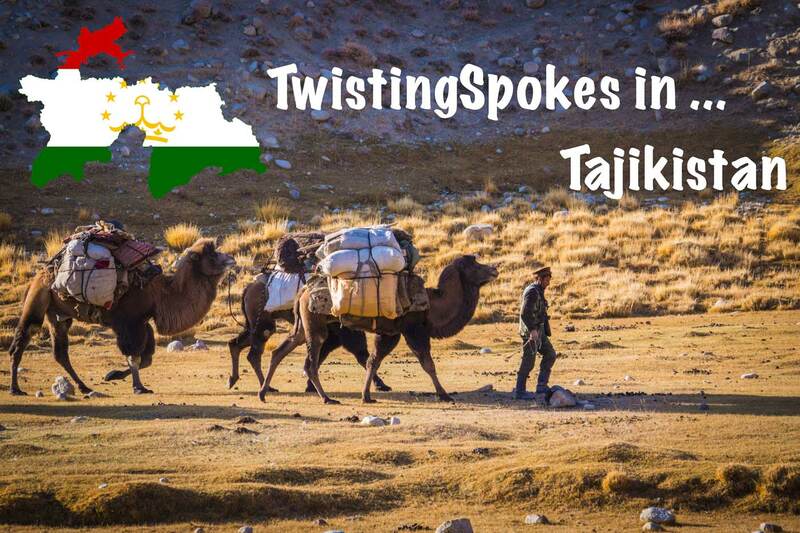 If you need to stuck up this is probably the place in Central-Asia with the most sport shops or places to find things for bicycle touring. Leaving the city we took our time to reach the Chinese border. We were welcomed by an Uyghur family, treated with pancakes and jam and ate delicious Kazakh bread. We stayed in typical Guestanica’s with drunk truck drivers and camped on the plains and even in a truck. Men and women wore big fur jackets and fur hats to protect them from the cold. We had a great side trip to Charyn Canyon, saw many flocks or horses, were warned for wolves in the fields and encouraged to make a fire while camping. The road surface was snowy and icy on most of the days, so we were happy with our studded tires and pogies on the bikes. All along our ride from Almaty while bicycle touring Kazakhstan we had the Tian Shan mountain range on our right hand side. Just before crossing to China we decided to stay a few days in Zharkent where we enjoyed the bazaar with many different people, stuff and food, the mix of culture and religion and the fresh winter skies. We had decided to apply for a visa in Bishkek so we would have 30 days in country. You need to register within 5 days if you plan on staying longer than these five days. 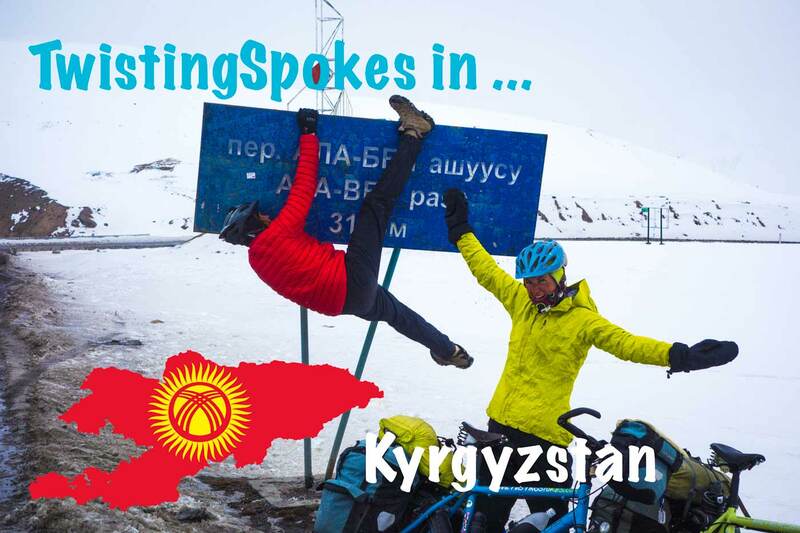 In our visa post you can read more about our Kazakh visa. For an interesting and detailed view on Almaty we recommend visiting the page Walking Almaty. 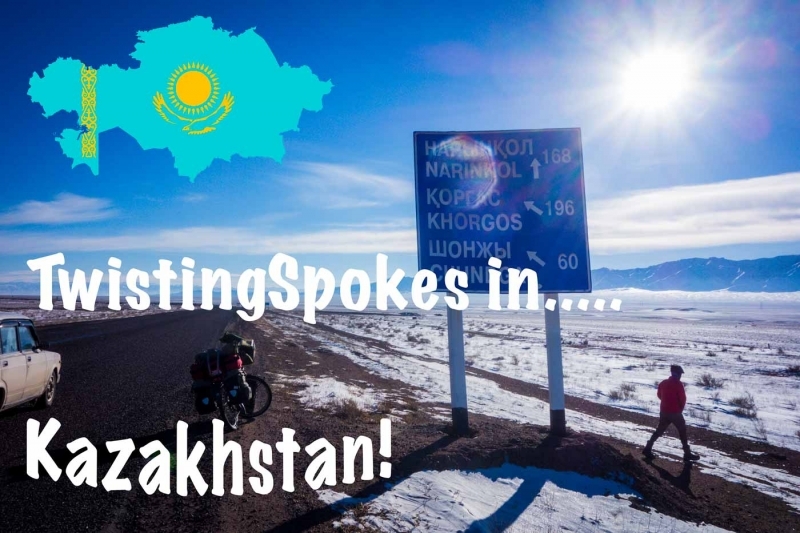 Would you like to cycle our route through Kazakhstan? We crossed the border into Kazakhstan just north of Bishkek in Kyrgyzstan (there is a more scenic option further east, but this border is only open between approx. May-October). We camped the first night and the second day just before the pass we took a truck to hitchhike to Almaty. From Almaty we cycled to Shelek, up a small pass to Kopek where we reached a small plateau, further along the A351 until the crossing with a road heading to Charyn Canyon, out of the Canyon towards A352 and Shonzhy to Koktal and Zharkent where we stayed a few days. There is a guesthouse just at the border but Zharkent was quite a comfortable town to stay. To view all images of Kazakhstan push the button on the right!